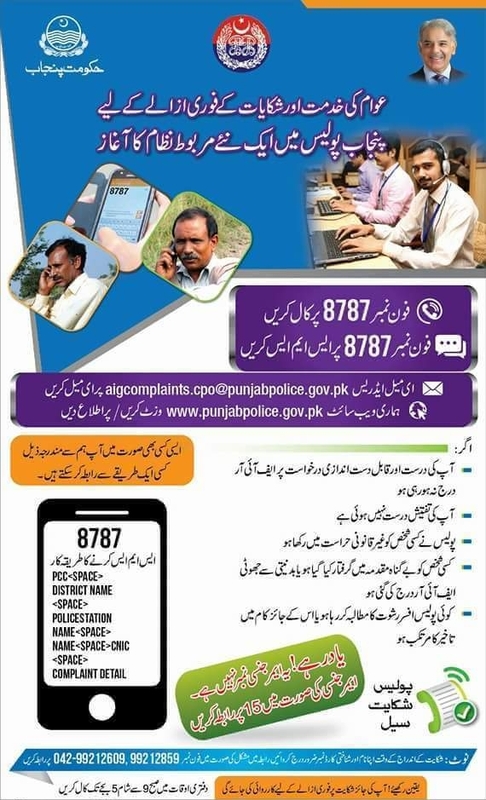 You may call or send SMS at IG Punjab police complaint cell helpline number i.e 8787. Procedure about sending SMS has been given in the image given below. If any police man a briber, what will do 8787 with do him? Agr koi police wala rishwat leta hai to 8787 us k khilaf kya karwaei kre gi? There is not any complaint option for those who misbehave with the innocent citizens for no reason. If some police official at Rank of SI n civil clothes misuses his offcal rank n powers for his vested interest and govt official publicaly threats n beats and abuses noble citizen for no crime but ony to create rule of jungle ..... ...... is there any remady agaist police official ?